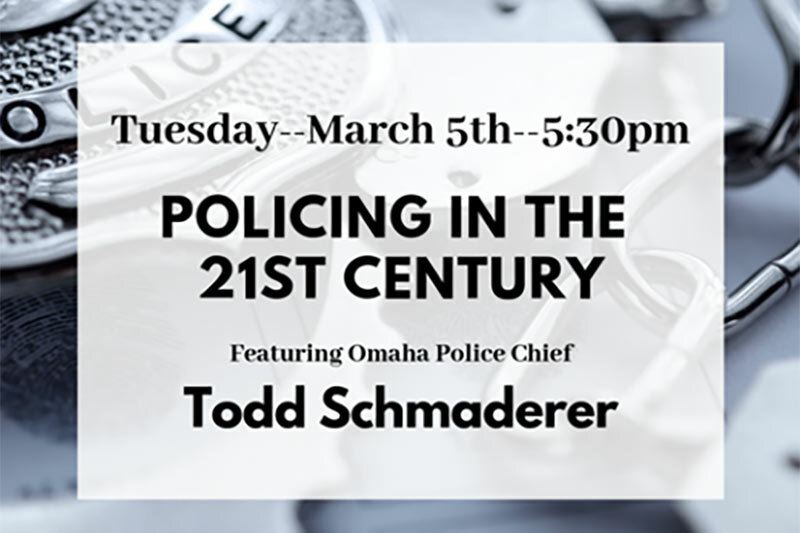 The guest speaker is Todd Schmaderer, Omaha Police Chief. He will be talkinga bout his vision of policing in the 21st century, followed by a Q&A. Tuesday, March 5, 2019 at 5:30 - 7 P.M.